In Colombia, a special meal that can be shared at home has always been a good barbecue with all kinds of meats and a potato side dish, especially salted potatoes. And what are salted potatoes? 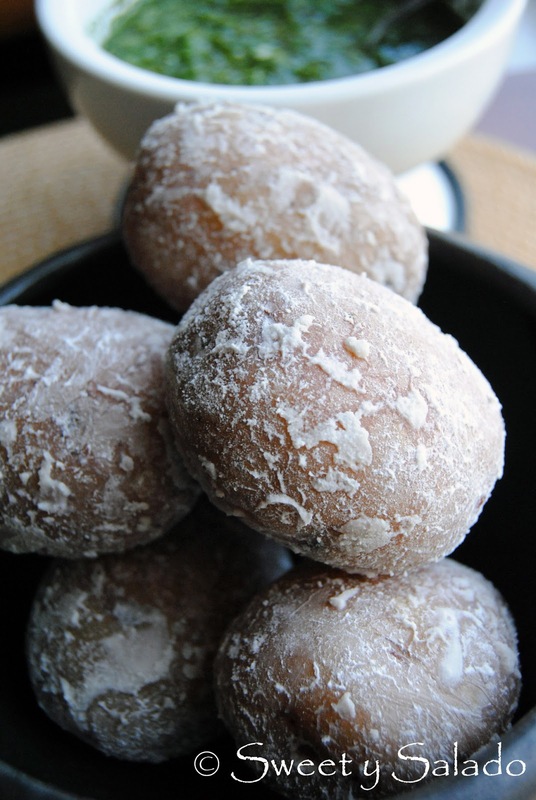 They are boiled red potatoes that have been convered in salt. That’s it. It’s simple and very Colombian because the salt sticks to the potatoes as if they had just come out of the ocean, giving them a delicious flavor. Another place where you can find salted potatoes are restaurants that sell roasted chicken, they always sell it in pieces with salted potatoes as side dish and the partner in crime of all Colombian meals, arepas. The reason why this type of meal is so popular in Colombia is because with one whole chicken, salted potatoes and arepas, you can feed between 4-6 people, depending on the portions, at a very reasonable price. 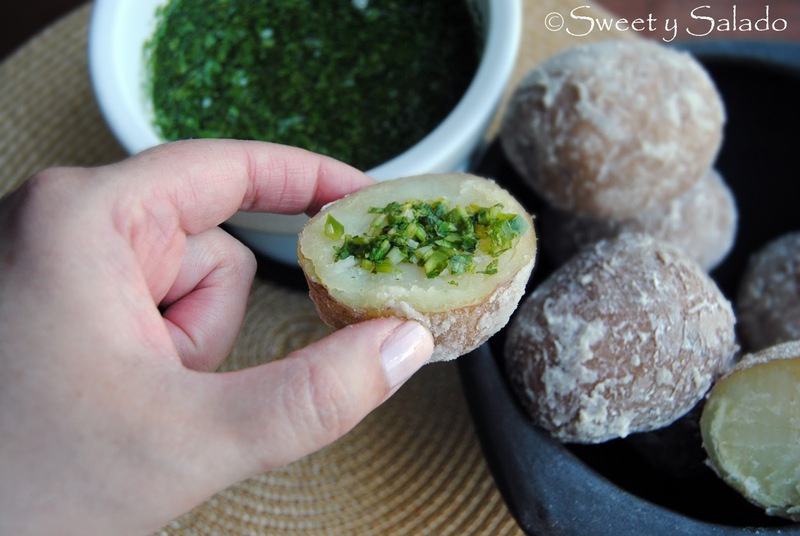 And if you want to make these potatoes even more delicious, you can serve them with a side of Colombian green hot sauce. 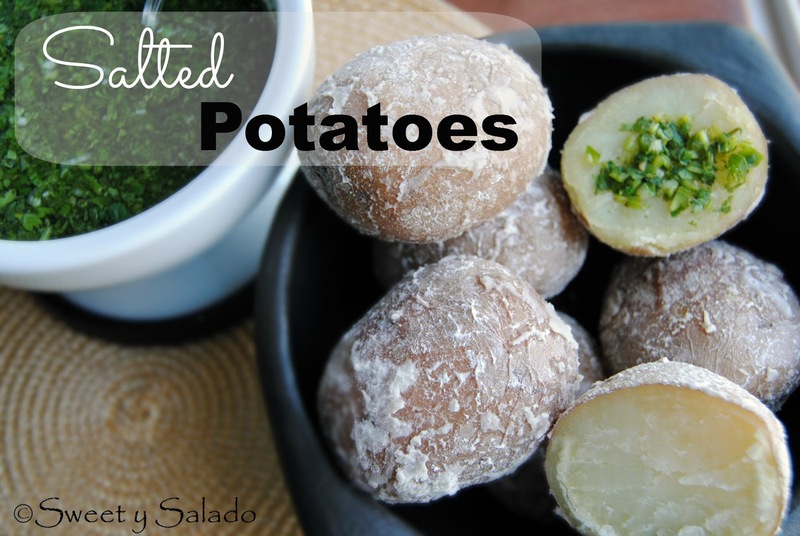 With these potatoes you will have a great side dish as part of a good ol’ Colombian meal. 1. Mix water and salt in a medium pot, add the potatoes, cover and bring to a boil. 2. Reduce heat to medium low and cook for about 35-40 minutes or until water evaporates. Swirl the potatoes in the pot just before and after the water evaporates to cover them well with the salt. 3. Serve potatoes hot or cold. You can also serve them with a side of Colombian green hot sauce.